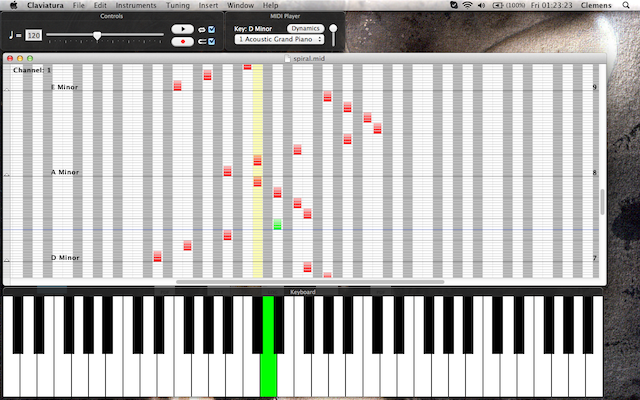 Claviatura is a vertical layout music sequencer, specific for use with keyboard music. It has a scroll-along with MIDI keyboard input feature to facilitate training pieces. It also supports 3rd party instrument files such as EXS, sf2, and Hauptwerk. For an additional fee it also supports different tunings.